Online players need a secure and reliable payment method when playing online for real money, and Visa provides that option. We have found the best Visa casinos for online gamblers and provide everything you need to know about funding your account with Visa credit, debit or prepaid cards. Since Visa is such a popular payment method worldwide, it is obvious that it is going to be accepted nearly everywhere online. Therefore the problem isn’t locating the payment method, it is locating reputable places to play and pay. Fortunately, we have found a list of secure places to make a deposit with Visa, with our top-rated casino sites accepting Visa payments listed in the table above. Each of these reputable online casinos have undergone our stringent testing process to ensure they are safe, secure, entertaining, user-friendly and offer a great range of games that can be played for free or real money. Sign up using our links above to claim some excellent new player welcome bonuses. Can I transfer funds with Visa using my mobile? Yes, and depositing and withdrawing with Visa on smartphones and tablets is easy. 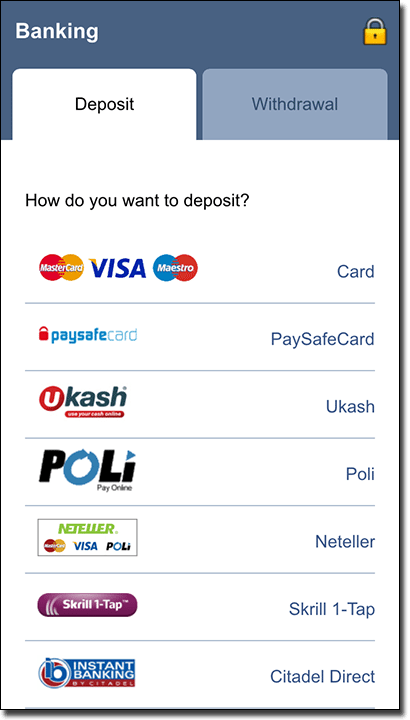 Simply tap on the Visa logo at one of the mobile versions of any of reputable casinos we’ve listed above, then enter the card details including the CVV (which is the three digit code on the back of your card), tap confirm and you will be ready to play on your smartphone or tablet. These funds will also be able to be used on the desktop version once you sign in on a computer or laptop. 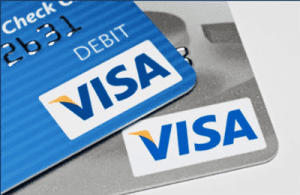 Visa is one of the speediest payment methods out of the array of funding options available, though the exact times ultimately depend on the online casino, your financial institution, and whether you have entered the correct details. Generally, your funds can appear immediately when you deposit with Visa credit or debit and be charged to your account within 24-48 hours. However, if you have been issued a card from a financial institution that doesn’t allow gambling transactions it could take some time and then your funds either won’t go through, or you will be charged a fee under the Advance Cash Rate associated with your bank. If you are depositing with a prepaid card, it should appear immediately, provided you have enough funds and have entered the correct information (enter ‘Valued Cardholder’ or ‘Account Holder’ in the name field of a Visa credit or debit deposit option if a prepaid Visa option isn’t listed). Withdrawal processing time can take longer with the minimum around 48 hours and the maximum generally 72 hours. If the online casino puts a 24-48 hour hold on the withdrawal to allow for reverse withdrawals, then it will take even longer to process. What makes Visa safe for online punters? Visa is renowned worldwide for being a secure payment method and is considered to be one of the safest payment methods across the globe. This is thanks to its reputation of being a solid funding method at land-based outlets, which has also transpired online. While the Internet brings hackers and scams, Visa has ensured that its users are protected thanks to certain security features. If you’re wary about making online payments with a credit card, read our online casino deposit guide for payment alternatives. All cards, whether they are a credit, debit or prepaid card, have a three digit security code on the back, also known as a CVV or CVC. This is a feature that makes topping up not only safe but speedier too. When you fill out your card details, including the three digit code, you can opt to store your card at the online casino. The next time you go to make a deposit all you will need to enter is the CVV and confirm. This means if someone miraculously gets into your account, they won’t be able to deposit from your personal account and use the funds unless they have the three digit code. Only store you card at the aforementioned online casinos as these have third party organisations that protect your details. Verified by Visa is an option that you will need to opt in physically at your local financial institution, but we recommend doing so if you plan to be depositing online. Here you will be given a password to use when you fund your casino account (or pay for something online) so that if someone steals your card and tries to make a deposit or even pay for something else, they will need the password. It acts as an extra layer of security, but we recommend keeping this password in a safe place. Our top-rated real money casino sites accepting Visa payments are listed in the casino table at the top of this page. We recommend Raging Bull Casino as our top-rated casino site for players from United States, which has some excellent welcome bonuses available for new players along with a great range of casino games on offer.